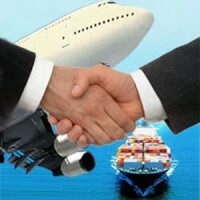 Export and Import activities in India have drastically increased with the effect of globalization. At present, the Export/ Import Sector is significantly contributing in the growth of Indian Economy. Various big and small companies have ventured into this sector. Catering to the manpower needs in the Export/ Import Sector, we have come up with effective Recruitment Solutions. The HR Team of the company works in close proximity to the clients and brings forth the most suitable candidates for the positions such as Logistics Manager, Legal Expert, Supply Chain Manager, etc.